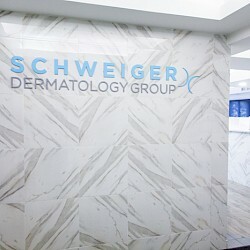 Elana Litwin is a certified physician assistant at Schweiger Dermatology Group who specializes in both medical and cosmetic dermatology. Elana earned her master’s in physician assistant studies at Touro College School of Health Sciences. Elana completed the dermatology fellowship program at Schweiger Dermatology Group, where she trained alongside leading dermatologists and gained experience in both cosmetic and medical treatments. She is a member of the Society of Dermatology Physician Assistants.